2017 was a busy year for new car launches, which in turn meant it was a very busy year for Euro NCAP too. 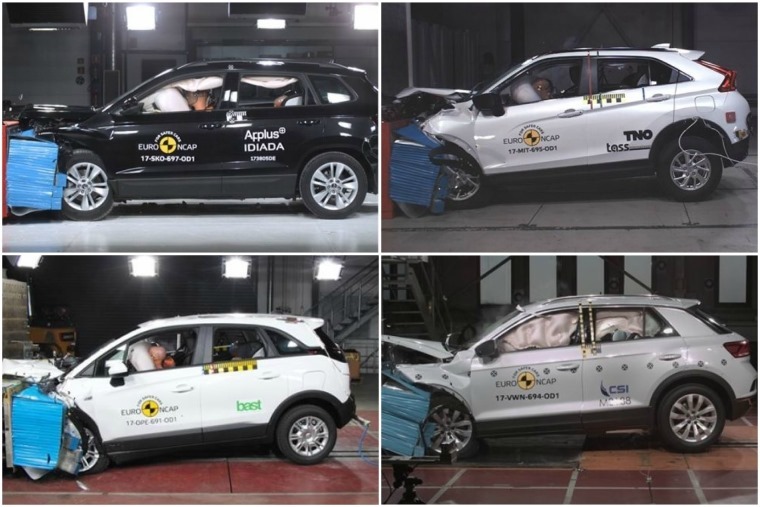 In fact last year was its busiest ever, with nearly 70 models passing through the hands of the crash-test extraordinaires. 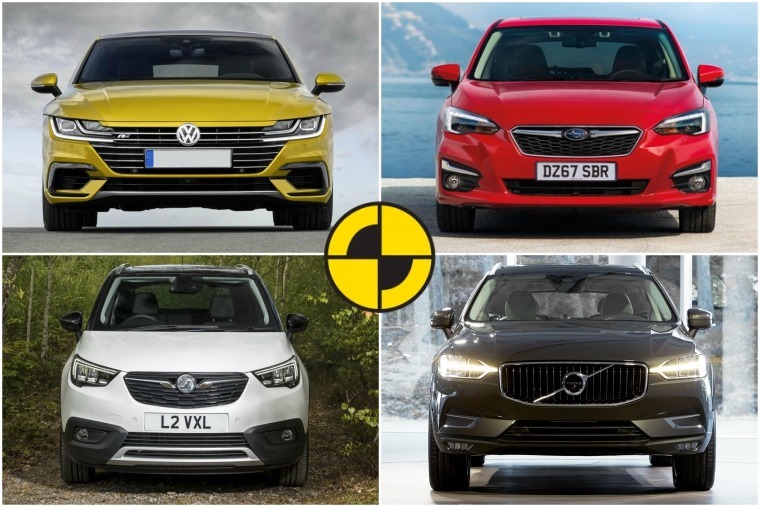 Most of the models tested in 2017 were new to the market, and an impressive amount of them achieved the maximum five-star rating which, considering Euro NCAP’s increasingly gruelling assessment process, reflects the improving safety standards of new cars. We’ll kick things off with the Volkswagen Arteon which was actually one of our favourite cars of 2017. 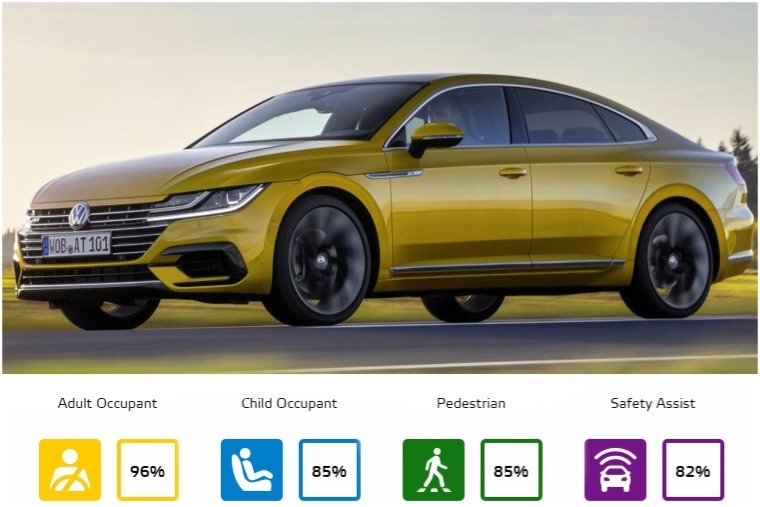 It turns out it was one of Euro NCAP’s favourites too, thanks to a class-leading range of standard safety features including autonomous emergency brake (AEB) systems for Pedestrian, City and Inter-Urban. The Arteon features an ‘active’ bonnet and uses sensors detect when a pedestrian has been struck and actuators lift the bonnet accordingly. This provides greater clearance to hard structures in the engine compartment. 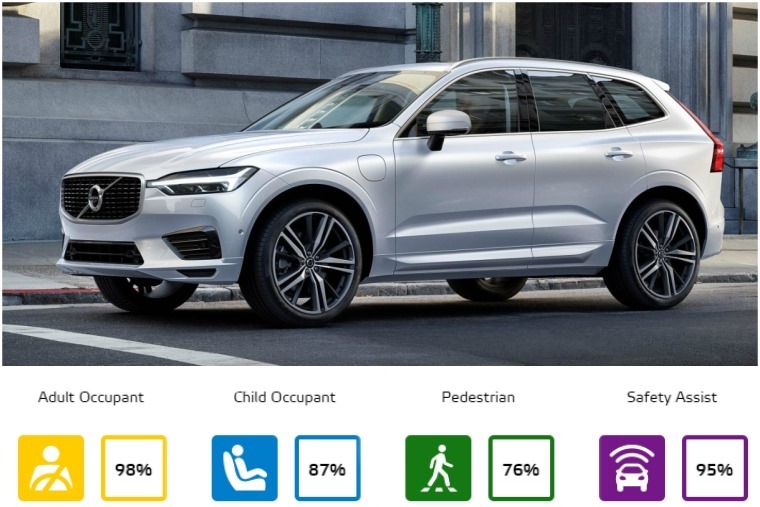 Volvo is a stalwart when it comes to safety,so it’s no surprise to see the new Volvo XC60 came top its class. Featuring camera-operated speed assistance, a safety-orientated structure and a plethora of AEB systems, it joins the S90 and XC90 as some of the safest cars Euro NCAP has ever tested. 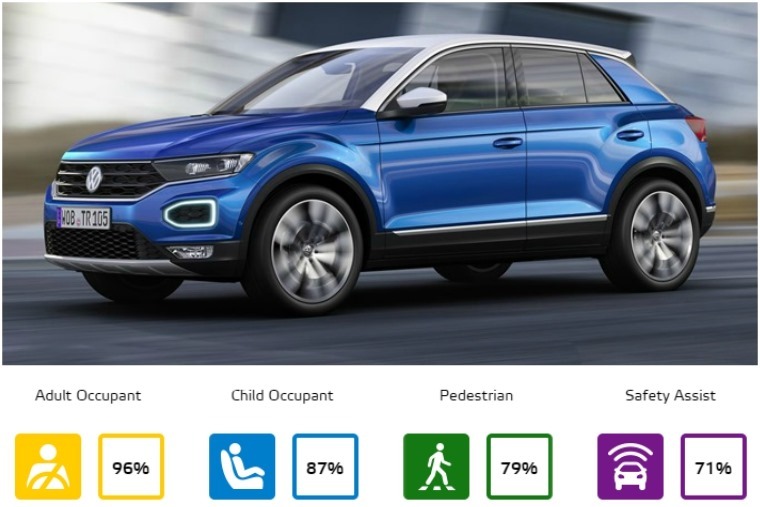 Maximum points were scored when it came to protection of occupant’s critical body areas, and pedestrians don’t do too badly either, with a maximum score also awarded for its autonomous emergency braking system and front bumper design. It seems Volkswagen is on a (T-Roc and) roll, with this all-new crossover cleaning up in the small off-road class. It lacks the active bonnet of the Arteon, but both city and inter-urban AEB systems remain standard across all trim levels. Tests of the systems demonstrated good performance, with the majority of collisions avoided or seriously mitigated. Didn’t expect that, did you? Or maybe you did… Vauxhall has been upping its game recently, with the Crossland X just one of the few SUV offerings that have been either updated or added to the range. Standard safety kit includes a speed assistance system, as well as a lane departure warning. 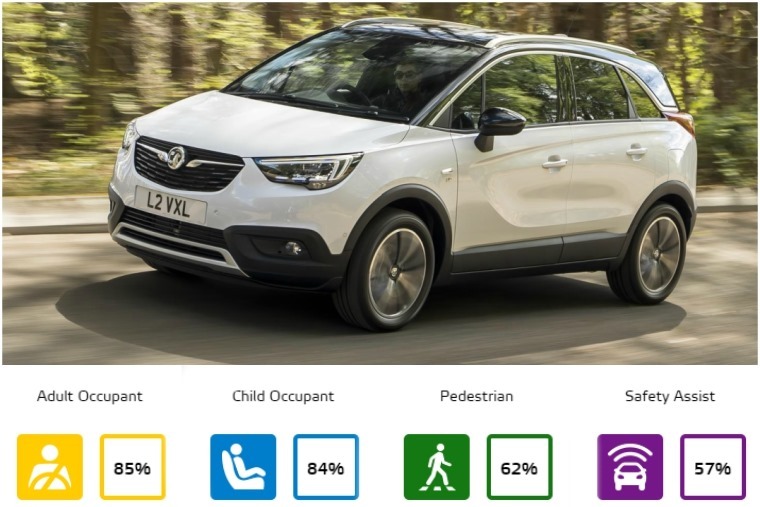 What makes Vauxhall’s achievement all the more impressive though is that while AEB is available as an option, it isn’t standard. That’s why, despite its five stars, its scores for occupants and pedestrians can’t quite match the others on this list. 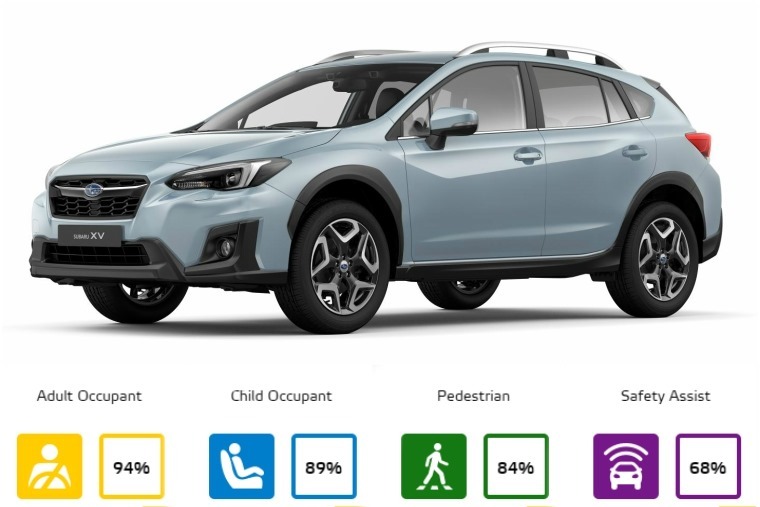 Subaru appears to have killed one bird with two stones this year, and sweeped up in the small family car class. 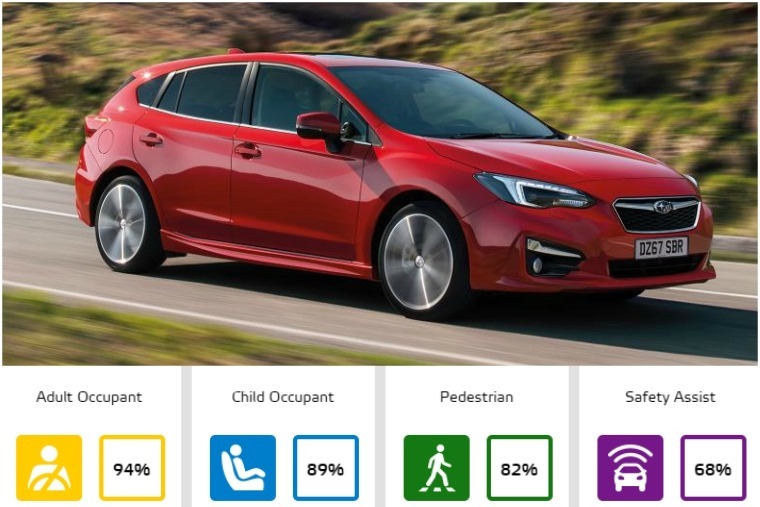 With an almost identical set of results, the iconic Impreza and practical XV feature standard AEB systems which avoided or mitigated collisions in the vast majority of tests. Yes, it’s another win for VW, but this time with a smaller offering and it’s set to become one of the most popular superminis in its class. This fantastic result from Euro NCAP will no doubt boost interest too. If ever there was was a supermini to prove that small cars can be just as safe (if not more) than larger SUVs, then this is it. Like the other Volkswagens on this list, AEB is standard which went a long way to securing its win. Commenting on 2017’s best in class cars, Michiel van Ratingen, secretary general of Euro NCAP, said: “Congratulations to Volkswagen. With another big batch of new cars hitting the market, it’s set to be another hectic year for Euro NCAP, albeit maybe not as busy as 2017. 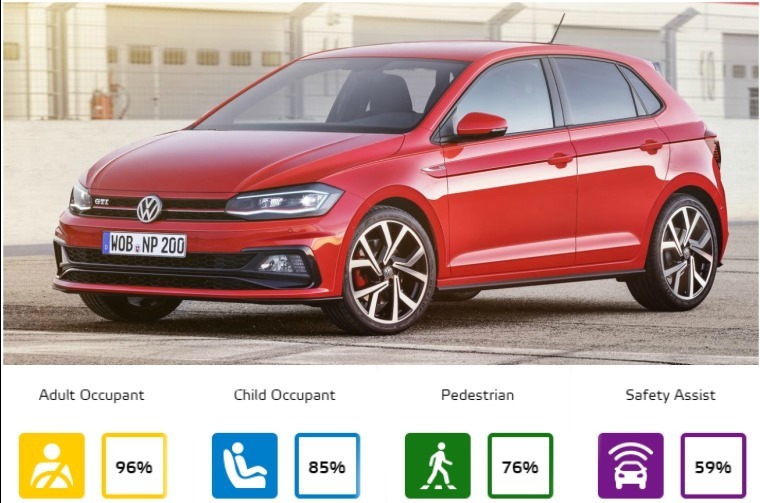 Standards are expected to improve even further though, with NCAP pointing out that 82% of cars tested in 2017 were available with some form of AEB system – something that was first tested in just 2016.